The pedagogic potentials of Minecraft are well-established as many schools and heritage organisations are now incorporating the game within their programmes and curricula as a platform for engagement with the past. 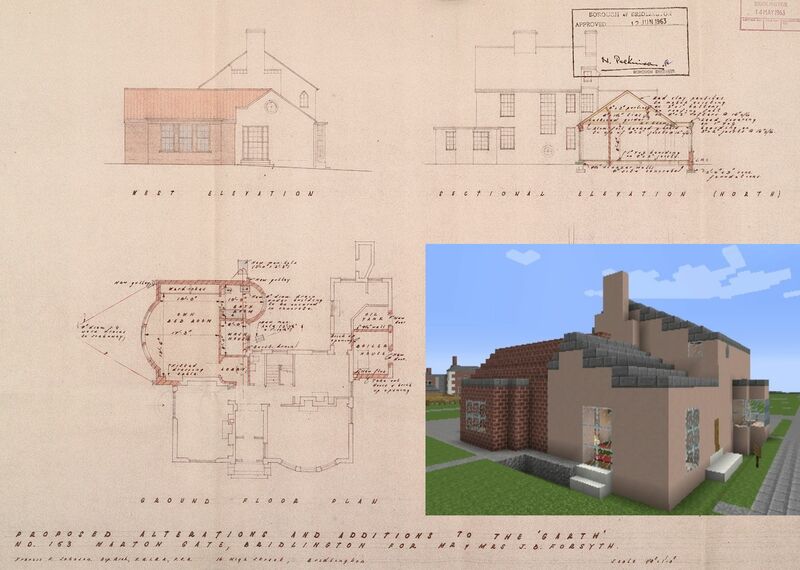 Minecraft has been used to explore fine art (see Tate Worlds) and also to reconstruct The British Museum , however the use of Minecraft in the UK archives sector is a relatively new concept. 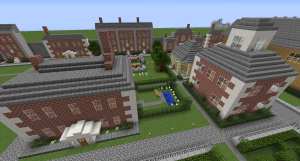 HullCraft, a Minecraft project by the Hull History Centre and the University of Hull (Kingston upon Hull, UK), demonstrates a practical way of engaging young people with archival material. HullCraft is a case study for combining archives with Minecraft. Our project not only gets younger generations to play the past but to also interpret, analyse and recreate it from archival collections. Minecraft allows players in the HullCraft world to explore beyond the imagery and text of archival documents, and to cross the boundaries between reality and the virtual. It is firstly important to highlight the problem of archives accessibility for younger generations. Archives are outplayed by museums as tourist destinations because they differ in the services they offer. Collections are generally not exhibited at archives, but are requested by a customer with a particular research purpose or interest in mind. Visitors cannot browse collections as easily, making the museum more of an attractive day out for a family to engage with history. Furthermore, the stereotypical view of archives is one of archaic, dark rooms filled with dusty documents therefore placing archives at the bottom of the list for fun, historical-themed child activities. These barriers are evidence of the importance of outreach activities in archives and to help make the material more accessible to younger generations. So we asked, how can we encourage the younger generations to take their first step into engaging with archives? Evolving out of the Hull History Centre’s LEGO history days, Minecraft was suggested as an effective way to introduce younger people to their archival collections through using a platform that they enjoy and find comfortable. Also significantly, because the game can also be played online, the archives can outreach on a wider geographical scale. To quote a 10 year old HullCrafter, archives were now “cool!” as Minecraft was something he could relate to and also play from home. Throughout 2014, archivists at the Hull History Centre have been digitising collections for players to recreate and have been uploading architectural plans on www.hullcraft.com for players to download. 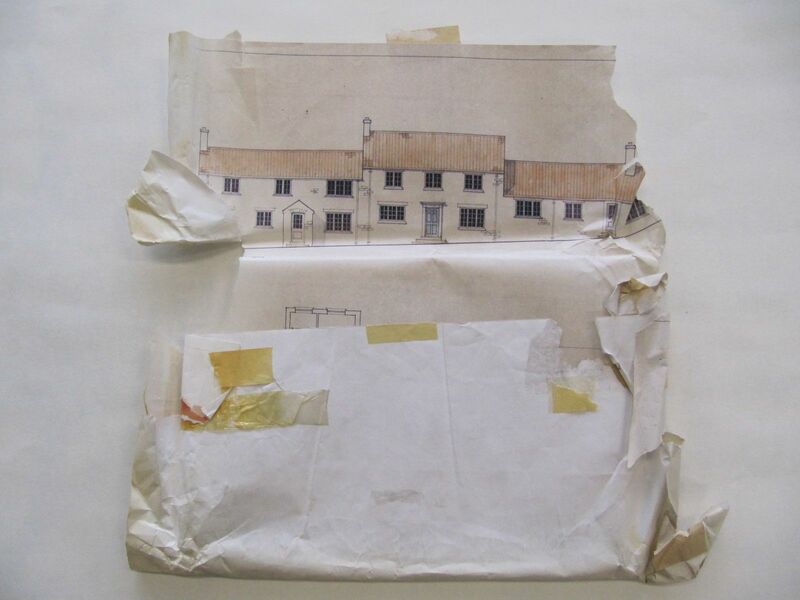 The first collection players are recreating on the HullCraft project is the architecture of Francis Johnson, an architect from Yorkshire who worked on a whole range of buildings including private residences, offices, shops, churches and his speciality Georgian town and country houses. Some of his most impressive commissions include Hardwick Hall in Derbyshire, Maister House in Hull, the Orangery at Sledmere House, Burton Agnes Hall, Sunderlandwick Hall, York Minster and Fairfax House, York. A player’s reconstruction of 2-3 The Garth, Bridlington from Johnson’s architectural plan. For phase one of the project players recreated Johnson’s buildings in their own Minecraft world and submitted screenshots. This was successful as there were many participants. However it lacked the element of collaboration and large group builds, leading into phase two. A server exclusive to the project was developed, which opened up new learning possibilities. Players are able to join the server individually or as part of a large group in one of the Hull History Centre’s workshops. The vision for the server is a world of historical periods from Hull and the surrounding region, beginning with Johnson’s Georgian-style buildings, recreated from players’ interpretations of primary sources from the archives held at the Hull History Centre. Each world will be traversable using in-game portals. A virtual reconstruction of the Hull History Centre is the HullCraft spawn point. On landing in the server, the player will begin their journey at the Hull History Centre reception desk to replicate the act of visiting the archives. The building can be fully explored, from the glass arcades up to the archives store-rooms themselves. The player will encounter portals in the Hull History Centre where they can travel to an area where they will be assigned a plot of land to build upon, or they can explore other historical-themed worlds of completed builds. Gaming can revise traditional teaching methods and provide a richer, more meaningful learning experience (McCall 2011, 4). Minecraft is particularly effective as a pedagogical tool as the player can create and curate their own content with the possibilities of players creating video logs, or blog posts of their builds. The HullCraft project uses the gamification of learning as a model of engagement (Mills, 2014) where players will have incentives, beginning with virtual badges, to construct architecture of local significance in the informal learning space of the Minecraft world. The addition of gamification to the project will encourage the players to engage with more plans from the archives and will expand their knowledge of the collections in the casual Minecraft environment. It is possible that the buildings recreated in the server can become digital artefacts for researchers. Rebekah and Richard Colby on emergent learning (2008, 305) claim that the dichotomy of real world versus the virtual world are deconstructed when players create in-game artefacts that can be used as resources in the real-world community. HullCraft’s architectural reconstructions of Francis Johnson buildings have the potential to demonstrate this, becoming a research tool in itself as a virtual heritage environment for visualising his designs. The Georgian Quarter in HullCraft takes shape as more players build from the archives. With Hull being awarded the UK City of Culture for 2017, the project hopes to create awareness and a further sense of historical significance and ‘place’ to local players. Erik Champion in his conference paper on heritage role-playing (2004, 2) describes ‘place’ as a “region recognisable to a user as a culturally coded setting”. 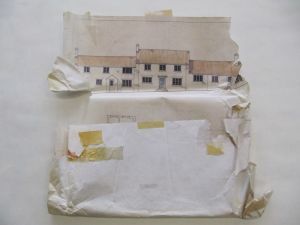 The cultural codes in the case of HullCraft could be the players making links between the architectural styles in the buildings they are recreating and the period those styles represent, or are reminiscent of. Champion also refers to the concept of a “hermeneutic environment” (2004, 2), where the interpretation of an object, in this case the archival document, is enhanced through an understanding of the connection between our own personal world and that of the object being interpreted. Minecraft can facilitate this connection as players understand more of what they’re recreating, for example with the Francis Johnson architectural plans they can ask: how was this building constructed? What material would Johnson have used for this wall? How many blocks high should I build this façade? The reconstruction process within HullCraft requires them to consider the building’s relationship and physical presence in the real world, again crossing the virtual versus real boundary. From engaging with the HullCraft project we hope that players will have enjoyed recreating the archives and learned about their buildings in the process. It’s about using Minecraft as a facilitator to show that archives have interesting content that younger generations can engage with and dissipating the barriers of perception for people to visit an archives service in the future. Our project is still in its early stages; a typical comment on our site, from user ‘Archie’, says “This server is awesome”. We’ve also had positive verbal feedback from teachers. I would be very interested in feedback: how else people have used Minecraft or other computer games for engaging with archival collections? Champion, E (2004) ‘Heritage Role Playing- History as an Interactive Digital Game’, paper given at Sydney, IE2004 Australian Workshop on Interactive Entertainment, February 2004. Colby, R and Colby, R.S (2008) ‘A Pedagogy of Play: Integrating Computer Games into the Writing Classroom’, Computers and Composition 25, 300–312. McCall, J (2011) Gaming the Past: Using Video Games to Teach Secondary History. Abingdon: Routledge. Mills, J (2014) ‘HullCraft secures funding from the Ferens Educational Trust to build Historical Hull in Minecraft’, http://www.ilearninguk.com/hullcraftfunding/. Page consulted 4th December 2014. Owens, T (2014) ‘Pixelated Commemorations: 4 In Game Monuments and Memorials’, http://www.playthepast.org/?p=4811. Thanks for the article Hannah, what stage is the project at now? Theoretically, I think my main question is how can we create these persuasively discursive heritage mechanics-game mechanics that tempt and help participants (players?) to understand or explore or question..
bear no expense other than this monthly registration fee. Proper functioning and hard work really can enable you to craft your own flash game.